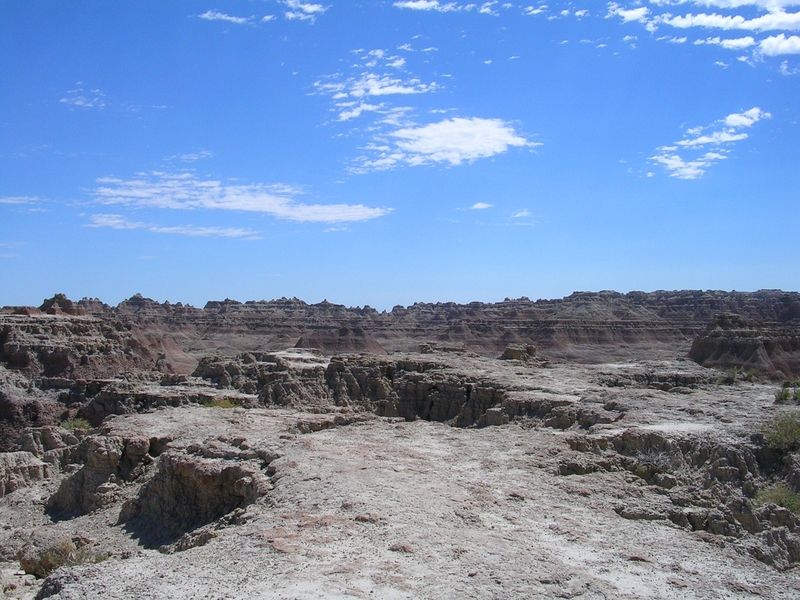 This week, through the magic of photography, I take you to Badlands National Park, in South Dakota. Some think of western South Dakota as nothing more than home to the Black Hills, Mt. Rushmore, Wind and Jewel Caves, and Wall Drug. 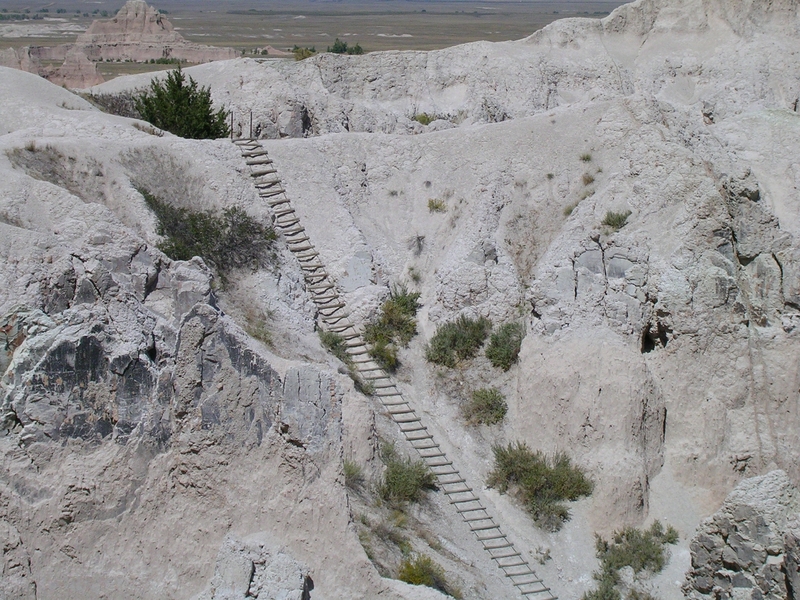 (Note: Detect sarcasm when I say “nothing more.”) In my opinion, a visit to this beautiful area of the country is not complete without exploring the Badlands, which are like nothing else I’ve ever seen. No, that’s not the surface of the moon with some newfangled atmosphere created by NASA. 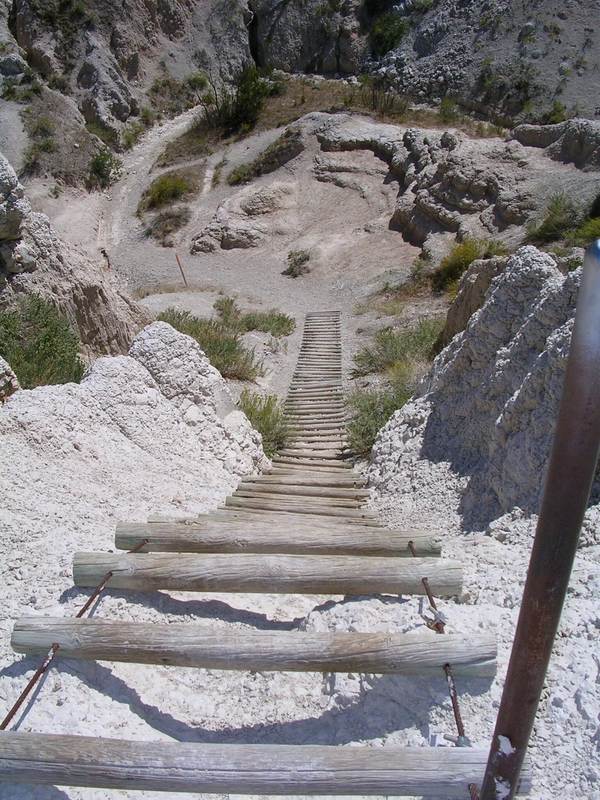 It’s the Badlands. It’s actually a trail, although I can understand if you’re squinting at it and asking, “But how do you know where to walk?” I can answer that for you. There are these teeny little flags. You look for them, like you would look for cairns. They are difficult to spot. I learned the hard way that you never want to leave one without finding the next, because there are gaps and chasms (not too deep, but deep enough that you’d have trouble getting up out of them without assistance or being a spider-person) between these crags, and it’s sort of like solving a maze. On more than one occasion, I ended up at a dead end and had to pick my way back to the last flag and try again. Yes, I’m terrified of heights. Yes, I climbed that ladder.